Contributed by Trevor Harris. Lucsko, former Webster community director, presents Trevor Harris with a Rezzie Award in 2012.
a bachelor’s degree in screenwriting and a minor in film studies. Harris said the Midwest was not the place for him if he wanted to write for film or television. “I’m moving. I’ll be back around Christmas,” Harris told his family and friends before making the two-day drive to LA. He said the move took years of preparation, such as saving money, making connections and learning the business. Before LA, Harris had never been outside of the Midwest. He had only traveled to Missouri, Illinois and Oklahoma before leaving for California. Ashley Lam, who graduated in 2011 from Webster with a photography degree, said the move to LA was easy, because her parents moved there while she attended college. Her main obstacle was finding a job. Within a month of moving, Lam landed a job in LA with Nick Jr. on a children’s TV show called “The Fresh Beat Band” as a production assistant. Since then, she has worked on 12 other shows. Lam said getting a job is about who you know, because one person refers another person they know when there is an open position. 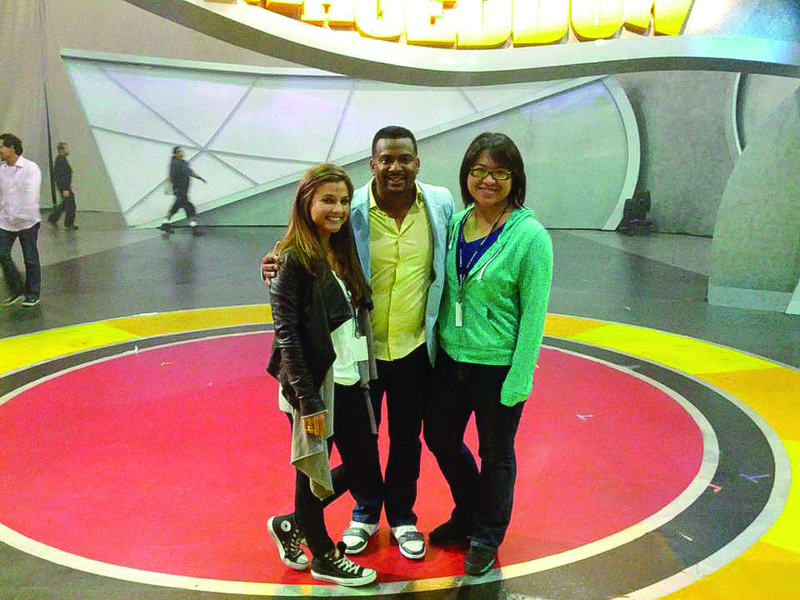 Lam’s most recent position was as an executive assistant to the producers on the ABC Family show “Spell-Mageddon.” The show ended in July and she is currently unemployed. scripts. Schuster said it was the first time he had allowed a student to doctor another student’s work for credit. Harris said he built his reputation at Webster as the “go-to script guy.” He has not found steady work, but he has begun to freelance as a script doctor. Rebecca Nelson, assistant director of career development, said when looking for a job, starting your search early is the best course possible. She said students should also make connections with other Webster alumni. Nelson said students should use the social networking site LinkedIn to connect with employers and colleagues in different locations. She said the top two problems for recent graduates are money and getting in touch with people. Harris said Nelson helped him tremendously. Lam created a Facebook group called “Hollywood Gorloks” to connect current Webster students interested in all things LA and alumni in LA. She said it provides a support system for students. The page currently has 167 members. Lam is also working on getting more film industry magazines into Webster’s library. These magazines give people in Hollywood information about the industry. Schuster said if anyone wants to write for television or film, they may need to move to LA or New York. Harris waited only a week before pursuing his career in LA. He said as person from a small town in rural Missouri, there was no way he could live in New York. LA was the place he needed to be. Harris said his biggest obstacle is uncertainty because with his business anything can happen.